Bit late on this post, but still a must-see if you haven’t already. Dutch House producer Didrick took a more 80s approach in fashioning this awesome medley of top EDM songs from this past year into a light, Christmas-friendly version. Astounding stuff. ★ The Hood Internet – Ignition (1901 Remix) (R. Kelly vs. Okay, so my initial reaction was more like, “Oh my god, no”. But then I heard the Hood Internet’s re-mash of the crazy ‘ish that went down a little over a week ago at California’s Coachella music festival when R. Kelly burst onto the stage of none other than beloved indie favorite, Phoenix… And now I love it. 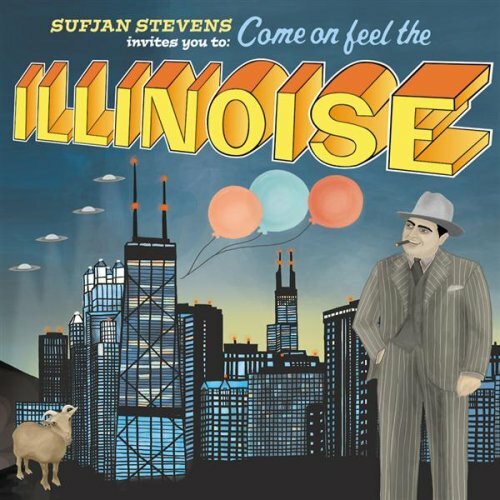 This isn’t the type of music I typically write about, but I can’t help but share my love for Sufjan Stevens. The Detroit-native studied at the prestigious Interlochen Arts Academy, then Hope College, and eventually attained an MFA at The New School. But besides his impressive resume, Sufjan (which means ‘comes with a sword’ in Persian and Arabic) writes, sings, and plays more instruments than you can count on your fingers — oftentimes playing the parts of his pieces himself, overlapping the recordings and merging them into one painstakingly-tedious, beautiful work of art. 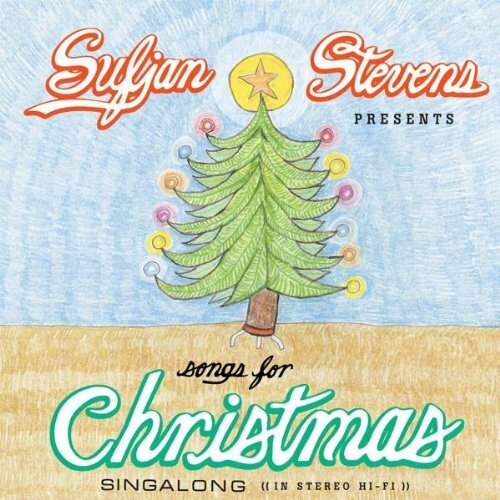 This year, the usually quiet and inconspicuous Sufjan announced a tour titled, “The Sirfjam Stephanapolous Christmas Sing-A-Long Seasonal Affective Disorder Spectacular Music Pageant Variety Show Disaster” (tickets after the jump!) to promote the expansion of a 2006 album, “Songs for Christmas: Vols. 1-5”, this part entitled, “Silver & Gold”, to be released by his label Asthmatic Kitty Records November 13. Here are some of my favorites of his previously-released carols, followed by some super-sweet mixes… So be sure to catch him live — it’s a lucky chance! Can’t get over how good the Shigeto mix is…and always diggin’ the Yeah Yeah Yeahs! The hard-syncing team behind Sync Harder was syncing with all their might over the past weekend at Veld Music Festival in Toronto, Canada. An inaugural EDM fest and the only one of its kind for the area, Veld was an immeasurable success; people, musical talent, amenities — and I’ve promised full reviews of all these festivals, I know, and this one is another to tack onto the “forthcoming” section — but suffice it to say for now that it was incredible, and you should attend next year. Follow us on Twitter at twitter.com/SyncHarder.com! One act of particular syncing awesomeness, who also happened to be the first act to greet us, was mister Deniz Koyu, yet another incredibly talented Dutchman you might’ve caught (and danced to, all without realizing) at the Cosmic Opera, where he opened the second act with remarkable bootlegs and transitioning-grace before Fedde took the stage and melted our faces. Anyways, it was 2pm in Canada when Koyu came on, hot as hell, and yet I found myself literally cartwheeling onto the mostly-open field. Give him a shot. Two good teamwork productions for ya in this continuation of my irregular wednesday mashup series (see mashup mercredi and mashup miércoles). The first I found accidentally when I typoed “Bauer” instead of “Baauer” while trap-searching; the second, a much more recently-produced mash led by Canadian DJ Imanos found lurking in the charts of the Hype Machine. That place is like the Department of Mysteries, you don’t know what you’ll find the deeper you go. Anxiously counting down the minutes till the city sky lights up over the Hudson a few blocks away from my new apartment (apologies on the hiatus from posting! )… My FIRST New York City July 4th !! Beers chilled, blankets ready, roof prepared… And this recent discovery from No Pets Allowed‘s amazing mashup compilation for entertainment! Happy Independence Day everyone! Update (6/29): Tickets on sale now! Get em here! Even if you aren’t a huge trance fan, you’ve undoubtedly heard of Eric Prydz, remixer of the sporty dance track hit, “Call On Me”. Well he’s made a rebound with the release of his beautiful new EDM album “Pryda”, for which he is starting up a co-tour with IDentity Fest. Prydz is also pit-stopping at the NYC Beekman Beach Club (aka the South Street Seaport) in exactly one month (Saturday, July 28th) to perform a bumpin’ show on the piers! Tickets go on sale THIS FRIDAY at noon and will be sure to sell out quick! You are currently browsing the mashup category.